My good friend Ms Halze, love these candies coconuts bons bons so much. 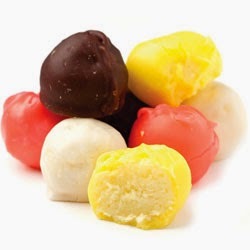 she tell me to get them for her and sometime these little bons bons are so hard to find and when you do find them...they are so cost like $71.80 for 20 pounds. I don't want to put these bons bons people out of business....But that is too costly for a 92 year old friend of mines. So knowing me...I found a recipe...Fix and enjoy! 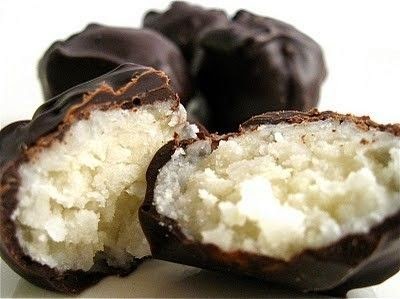 Melt butter, add milk and sugar, flavors and coconut. mix well, refrigerate overnight. Roll balls the size of a small walnut. Dip in melted bark and place on wax paper until set. If you want color bons bons buy a package white almond bark and add food color and flavor of your choice.